This is a sponsored post written by me for BeraTek Industries. All opinions are mine alone. With the holidays rapidly approaching, are you ready to welcome guests into your home? For me, before I feel ready to invite family & friends over, I like to make sure the kitchen & bathrooms are in top shape. 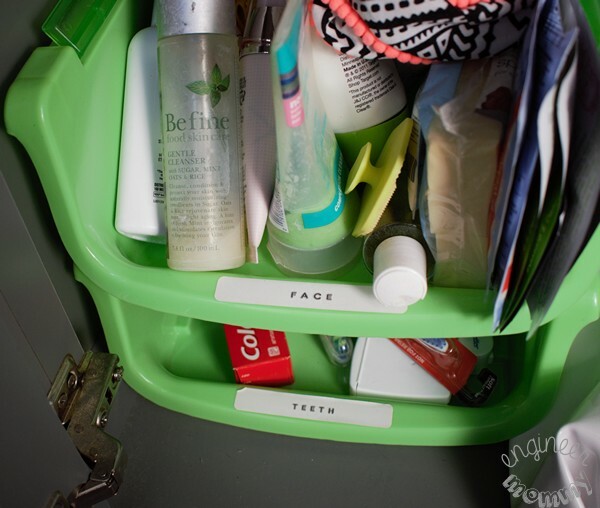 To get them clean, tidy and organized, I have a few tricks up my sleeve! 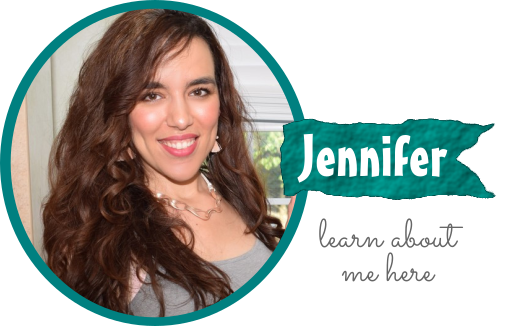 Today I’ll be sharing some of my favorite bathroom-organizing hacks with you, from using Power Perch (to keep counter tops clear of clutter) to setting up a beautiful stack of fresh white towels. Keep reading for all the details. 1. Use labeled bins under the sink! We all have plenty of stuff under the bathroom sink. Keep that clutter under control with organized bins. I like to divide my stuff by category: face, hair, skin, etc. Label the bins and make sure you always put your products back in the right spot. I find that when everything has a dedicated spot, it’s much easier to maintain an organized bathroom. 2. Keep counter tops clear! One of my favorite tricks for a clean, tidy bathroom is to keep the bathroom counters clear of clutter. Of course, a soap pump is necessary. Maybe one or two decorative elements (vase, tray, etc.) can be a nice addition. However, avoid the temptation to keep your toothbrushes, shavers, deodorant, etc. on the counter. 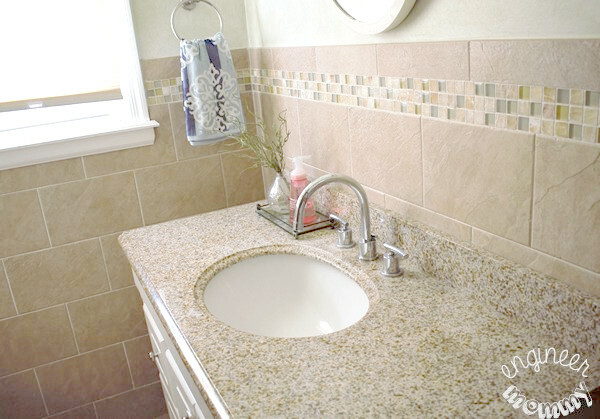 Clean counters help to create the sense of a spacious, tidy bathroom. I’m not saying that we don’t have to charge our electric toothbrushes or that we don’t use electric shavers. I just keep them off the counter. Where do they go? On the Power Perch! 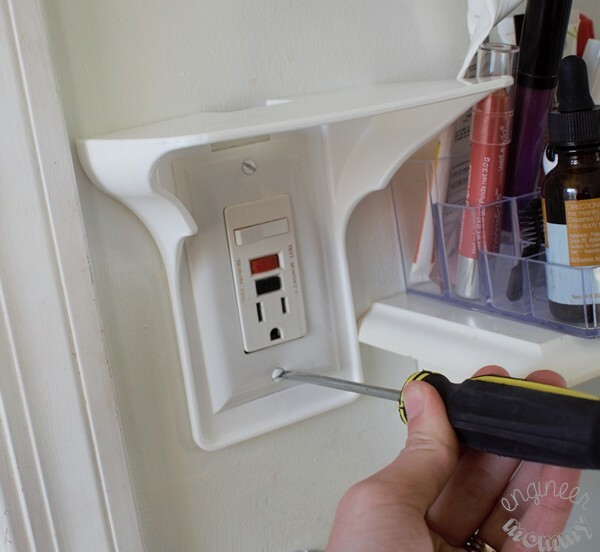 This practical little product lets you create an extra shelf in seconds by simply using your existing outlet cover. 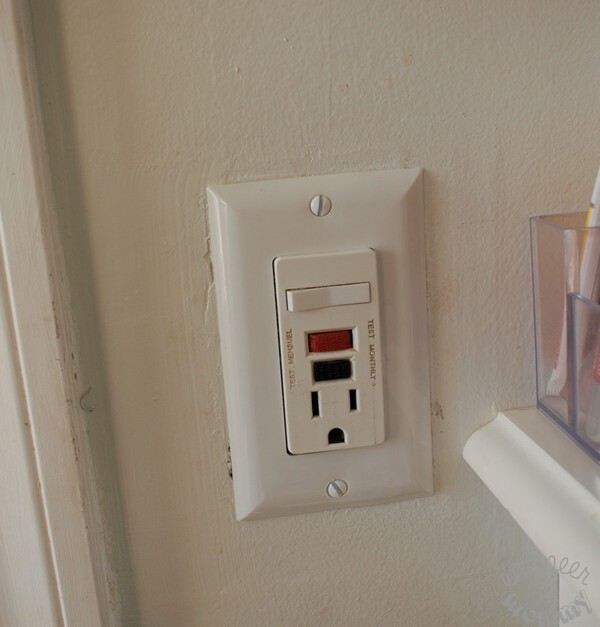 Please note that it fits most single vertical outlets and requires no extra hardware. 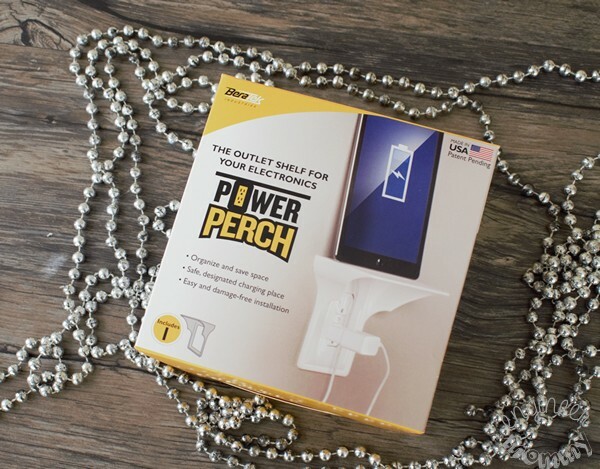 Power Perch is ideal for charging devices, while keeping wires & devices off the table or counter top. I love that it offers a safe, designated charging spot (no tipping to the floor) and a quick, damage-free installation (no nails into my wall)! Here’s the outlet, where I will be installing the Power Perch. To begin, turn off power at the circuit breaker. 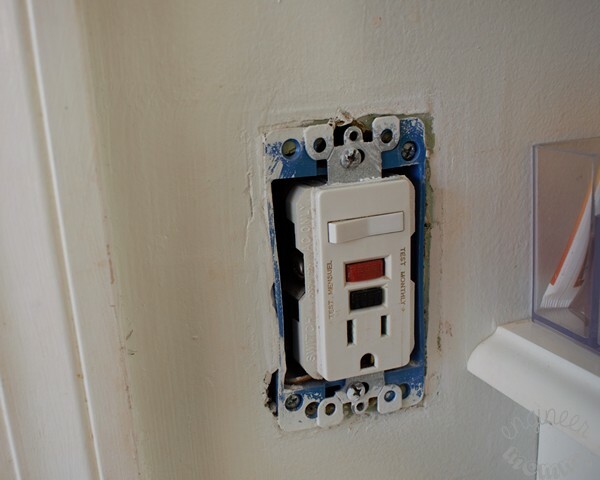 Once you’ve ensured that this outlet is not live, use a screw driver to remove the outlet cover. Hold the Power Perch against the outlet and begin screwing the outlet cover back on. The tension between the outlet cover and the wall is what keeps the Power Perch in place! I love that this little product keeps items off the counter top. 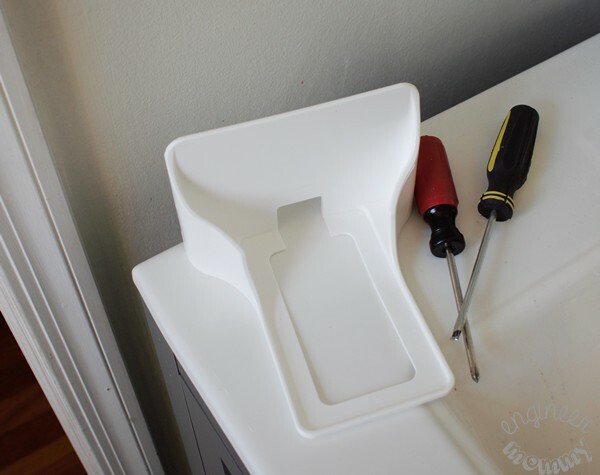 You can use it in bathrooms, kitchens, bedrooms and more. Need to charge your phone? Power Perch actually provides an ideal solution for charging mobile devices (tablet, smartphone, etc.) also. Installation was a breeze and took only seconds. Here’s my toothbrush being charged. Keep in mind that the shelf can hold up to 3 lbs. 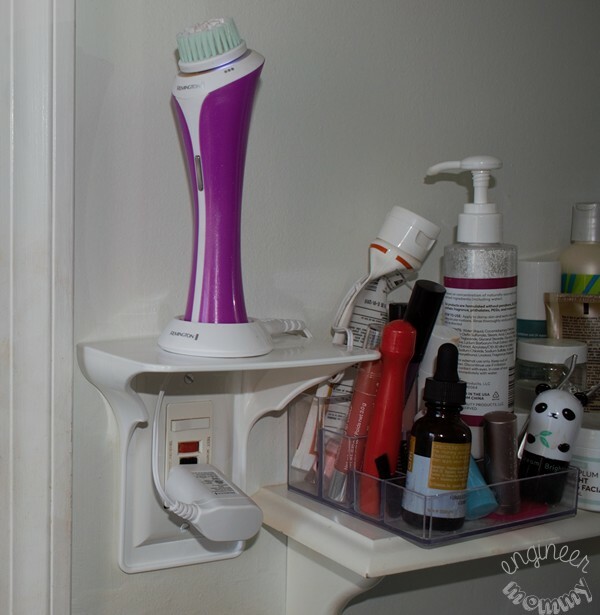 Here’s my facial cleansing brush being charged. I will be using this little shelf every single day! In fact, I need to get another one for the other bathroom and one for the office. Even if you’re not charging something, you can use Power Perch to store so many items, such as car keys, tools, makeup, oil diffusers and more. It’s available in white, black or almond colors, so you’re sure to find a color that fits your specific decor. So where do you need a power perch? Power Perch is manufactured by BeraTek Industries right here in the USA. To keep up with the latest news & offers from the company, check them out on Facebook and Twitter. You can purchase Power Perch online here. 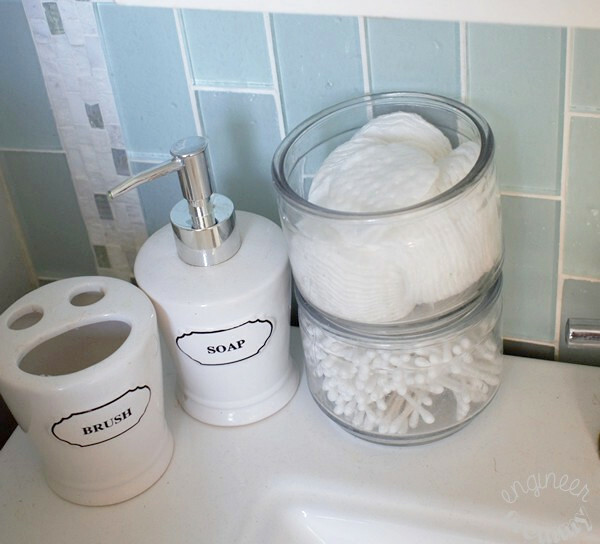 To store my everyday bathroom essentials, I like these clear glass containers. Where are they from? They used to be old candles! I simply removed all the wax and peeled off the label. 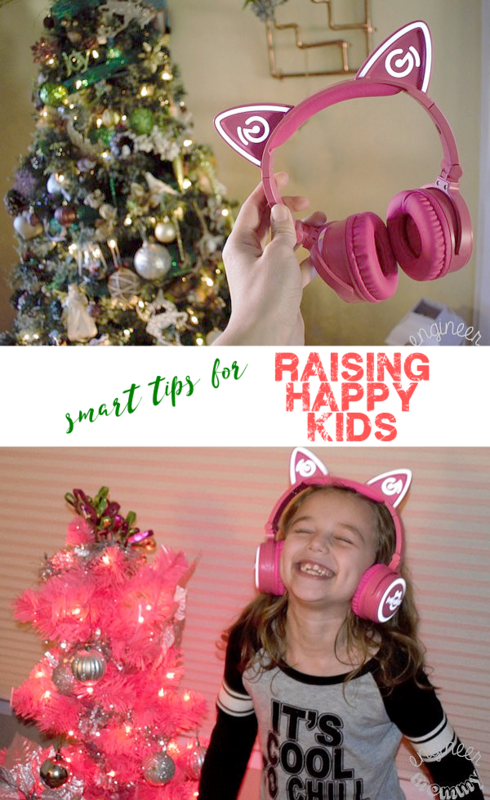 Now they stack beautifully and hold cotton balls & cotton swabs in a practical – yet decorative – way! 4. Store medicines in an attractive medicine cabinet! Keep your medications in a cabinet that adds a decorative element to your decor. We chose this cabinet at the home improvement store because it offers plenty of storage space, features gorgeous molding/trim and includes a large mirror. Choosing pieces for the bathroom that serve multiple purposes is a great way to get your money to stretch farther. No bathroom is complete without some decorative elements. 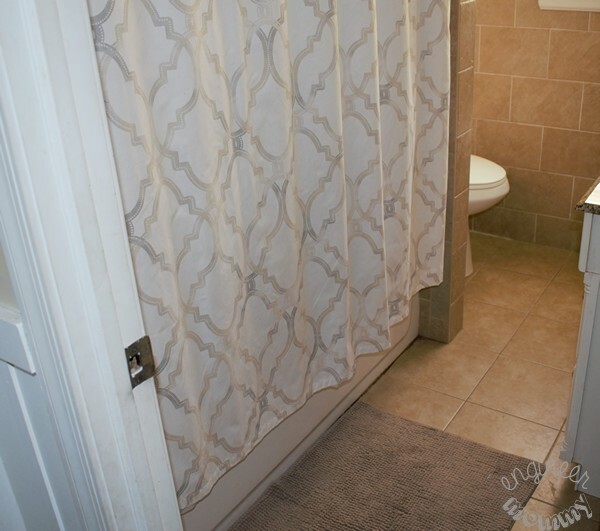 Add a lovely bath rug and a complementary shower curtain to complete the look. Other ways to incorporate fun design elements include some wall art and a fun light fixture for the space. I hope these tips have inspired you to get your bathroom ready for holiday guests this year. 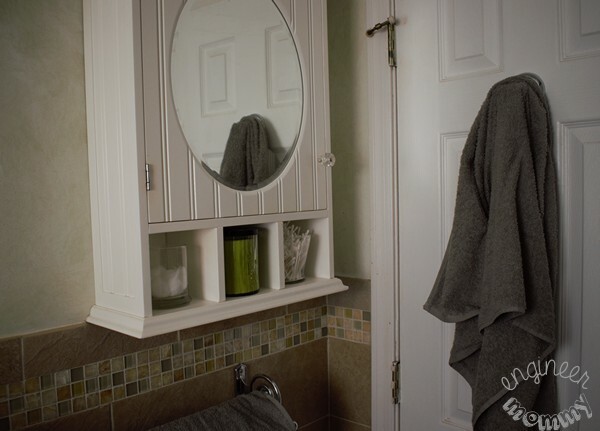 How do you keep your bathroom in top shape during the holidays? In which room would you install the Power Perch? These are really great tips. I love that shelf thing. 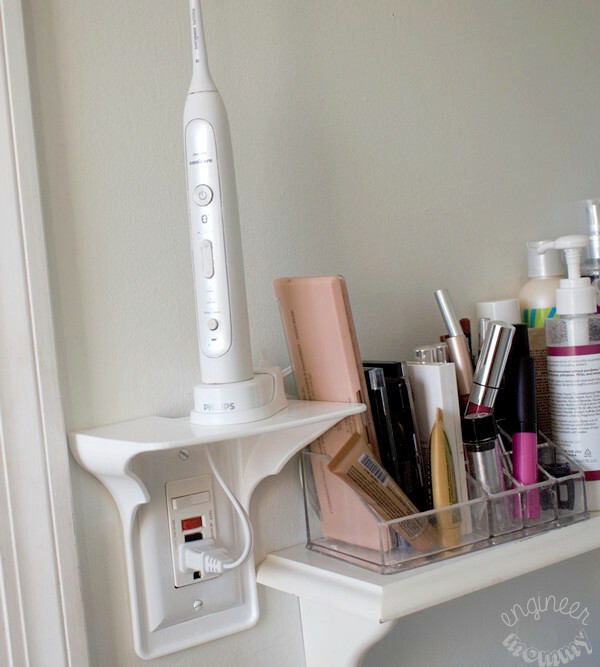 We have electric toothbrushes, and this would be fantastic for them. I haven’t heard of this new type of gadget. Looks easy enough to install and use. Having a fresh bathroom everyday is always important. This looks so cool. I haven’t heard of this before, but I’m intrigued! I always want to have a tidy bathroom. We actually own a Power Perch and my husband took it and LOVES it! I need to buy a few more! He uses it in the garage. So cool you already own one! I also want to pick up a few more for other rooms! 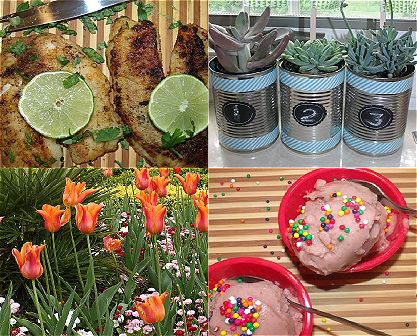 So practical! The power perch is pretty clever and we could definitely use a couple in our bathrooms. I can see them being handy in other rooms too! I need the power perch too. Thanks for the tips as I also need to clean and organize my bathroom. I’m with you on keeping the bathroom counters free of clutter. It just makes everything look so neat and tidy. This is such a genius invention. I can’t tell you how many times I have wished I had something exactly like this. I am pretty crazy about having a clean bathroom, which is a constant struggle because I live with three boys who don’t have very good aim. I will definitely keep your tips in mind when I am cleaning the bathroom! The power perch is such an innovative idea! I love that having that in the bathroom keeps electronic devices off the counter where it can accidentally get wet. I will ask my husband to get two or three of those power perches for our bathrooms, and kitchen too. We have a master suite and I keep it tidy and clean but the kids bathroom is a different story. I love how organized yours is! The perch is an awesome idea. We can use a good couple of these. Great tips. I try to use some of them. What an awesome little shelf! I need to reorganize my bathroom. I suspect I just have too much stuff in my cabinets! I love this, especially that power perch. Your tips are wonderful and beneficial. Thank you, and have a nice weekend. I love all the tips. The kids’ bathroom is the hardest room to keep de-cluttered looking. I do love the idea of the power perch. Cleanliness of the bathroom is really so important. It also needs to be organized well, as after all your bathroom is a room too! These are really very practical tips to ensure a clean and tidy bathroom. Indeed such amazing and awesome tips! Cleaning the bathroom every time we take a bath. This is to be able to clean instant dirts and avoid stocking it up in the bathrrom.